Every five years, the United Nations Human Rights Council holds a Universal Periodic Review of each member state’s human rights record. 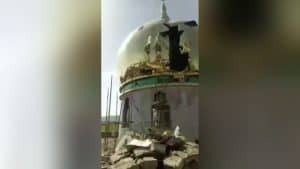 On Tuesday, November 6, it was the turn of China – a world record holder when it comes to the violation of human rights and religious persecution. As expected, China had a very rough day. 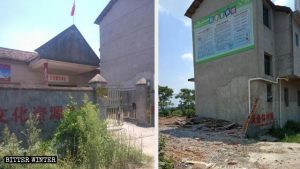 Australia, UK, Canada, Belgium, the Czech Republic, Finland, Germany, France, Iceland, Ireland, Sweden, Switzerland, and the United States focused on “transformation through education” camps, where one and a half million inmates, two thirds of them Uyghur Muslim where one and a half million inmates – two thirds of which are Uyghur Muslims and the rest are Tibetan Buddhists and members of religions declared illegal or banned – are subject to inhumane treatment and psychological pressure to induce them to abandon their faith. China had dispatched to Geneva Le Yucheng, the Vice-Minister of Foreign Affairs. He offered an arrogant but unconvincing defense of the “transformation through education” camps, claiming that they “free the minds of people affected by extremism.” Mr. Le’s speech verged on the ridicule when he explained that the camps offer “free-of-charge vocational training with a diploma after exams to those who had been coerced or lured by extremist groups.” But the speech was also sinister and threatening, as Mr. 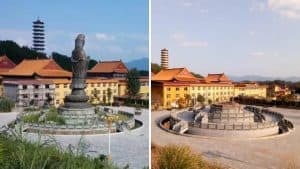 Le stated that the alternative to the camps would be “suppressing and wiping out” entirely the “extremists,” which in Chinese jargon means physically eliminating them. To make Mr. Le and the Chinese Communist Party’s (CCP) rough day worse, hundreds gathered in front of the Palais des Nations, the second iconic symbol of the United Nations after the New York headquarters, to express their disappointment and anger, and call on international organizations to stop the persecution and slaughter in China. The event was organized by the World Uyghur Congress (WUC), the largest organization of the Uyghur diaspora. Representatives of other persecuted ethnic groups and religions were also invited to participate. 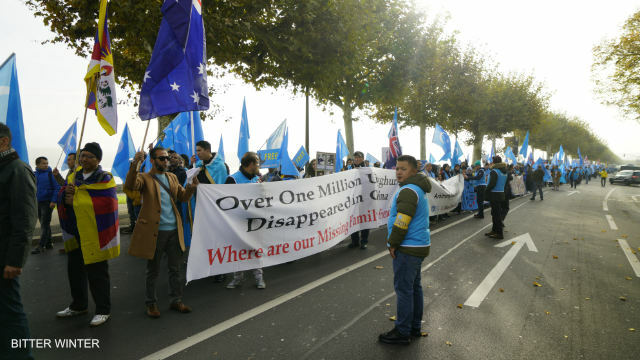 So, starting at early birds’ time from Palais Wilson, on the shore of Lake Leman, enveloped in the mist and numb of a cold morning, a procession of national flags and photographs of CCP victims set out orderly and peacefully to reach the Palais des Nations. 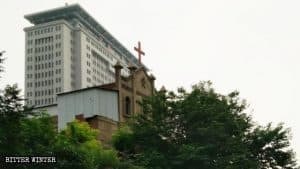 Uyghurs, Tibetans, Inner Mongolians, exiles in Taiwan, human rights activists from Hong Kong, members of The Church of Almighty God, and Catholics shouted slogans against the CCP and President Xi Jinping. 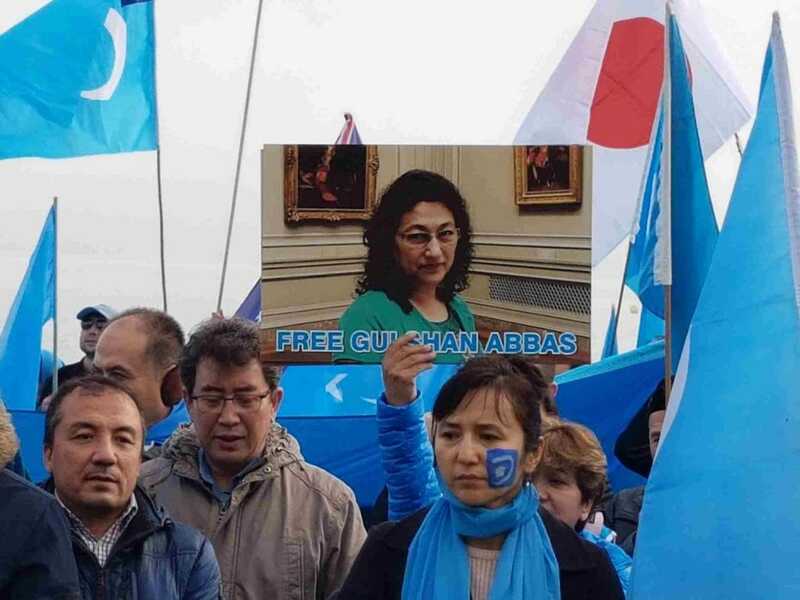 Once at the Palais des Nations, many speakers took turns, representing the communities that crowded the square with their flags and signs, defying cold weather and, after a while, even rain. 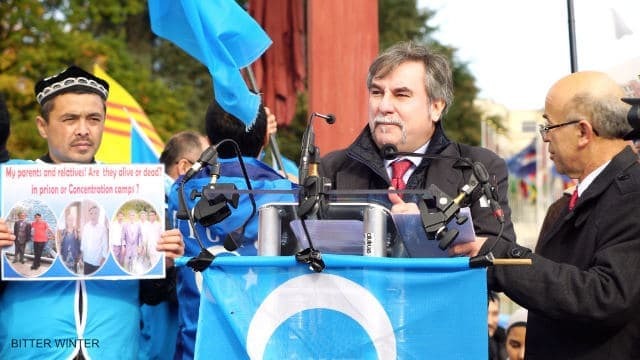 While banners and signposts wreathed in the wind, after the Uyghur and Tibetan national anthems were played, Mr. Omer Kanat, executive president of the WUC, took the floor. Then Mr. Dolkun Isa, president of the WUC, followed, among others, by Mr. Jampa Tsering Samdho, a Tibetan parliamentarian in exile; Ms. Kristina Olney of the Victims of Communism Memorial Foundation in Washington; Sister Sofia Wu from The Church of Almighty God; Mr. René Longet, a former member of the Swiss Parliament and its group for Tibet; Mr. Dolgion Hatgin, president of the People’s Party of Inner Mongolia; and Mr. Vincent Metten of the International Campaign for Tibet. 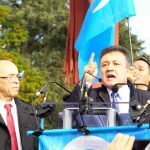 But, more or less out of the program, several Uyghur speakers, victims who escaped persecution in the “transformation through education” camps, also offered their testimonies. A sign, exhibited by a middle-aged Uyghur woman, composed and dignified in her grief, asked, “Where is my sister?” Adding ironically, “She is a medical doctor, she does not need vocational training.” The allusion is to the CCP’s claim that the camps where, in fact, people are tortured and die, offer “vocational training” to “victims” of religious extremism. 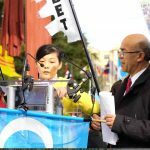 Sister Sofia Wu reminded the crowd that, just as it happens with Uyghurs and Tibetans, thousands of members of The Church of Almighty God are tortured in the Chinese jails and camps, and dozens have died in custody in highly suspicious circumstances. Bitter Winter was also invited to attend the event. I traveled to Geneva to offer words of greeting, solidarity, and friendship to the rally. I believe that this Tuesday was a great and memorable day. Walking among Buddhists, Muslims, and Christians, all united and marching together for liberty and human rights is not an experience one has every day. 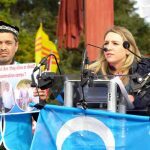 To hear the Uyghurs shouting “Free Tibet!”, the Buddhists asking for freedom for the Muslims, and the Christians invoking peace for all faiths was a unique experience. This was not the language of some closet utopian, but a loving experience, forged in the blood shed by all the communities represented at the event. 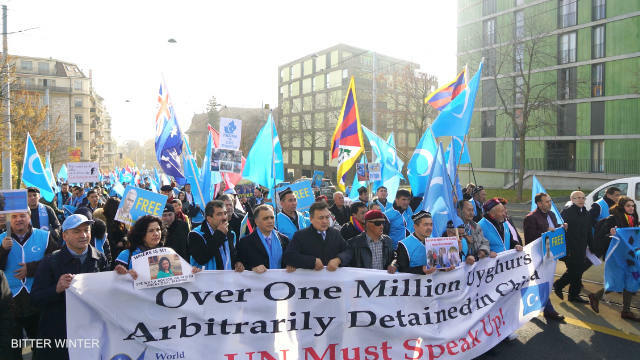 Many of those marching in Geneva believed the CCP was guilty of terrorism and genocide. Will they be heard by the U.N.? Now, a troika composed of representatives from Hungary, Kenya, and Saudi Arabia—the three countries selected for the task by the Human Rights Council—will prepare a report with recommendations to China, to be completed on November 9. China can manipulate the information and use its weight to make some documents “disappear” from the U.N. website, as it happened last week. 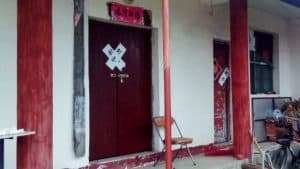 But the Universal Periodic Review has switched on the light, and many crimes the CCP hoped to keep quietly committing in the darkness have now been publicly revealed. 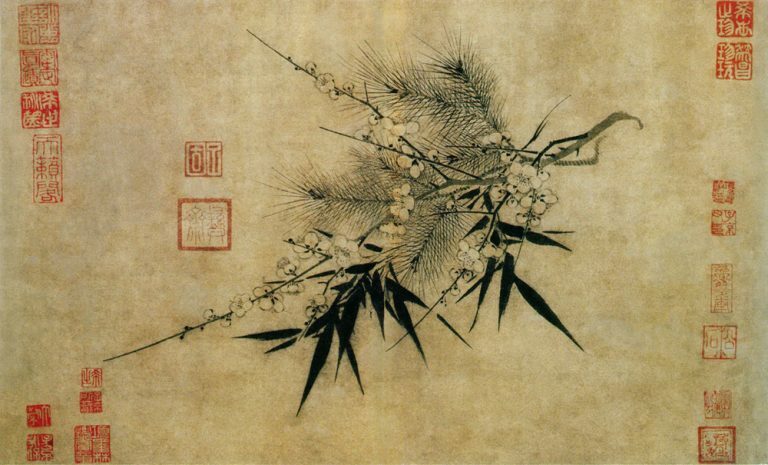 I am proud to have been part of this extraordinary day, where Bitter Winter promised to all persecuted minorities in China that it will continue to be a voice for the voiceless and to publish news, documents, and testimonies about the persecution affecting all religions in China.